Merijn Bruijnes – Page 2 – We have the right to remain silent, yet we cannot. Creating a serious game for the Dutch National Police is a serious matter. 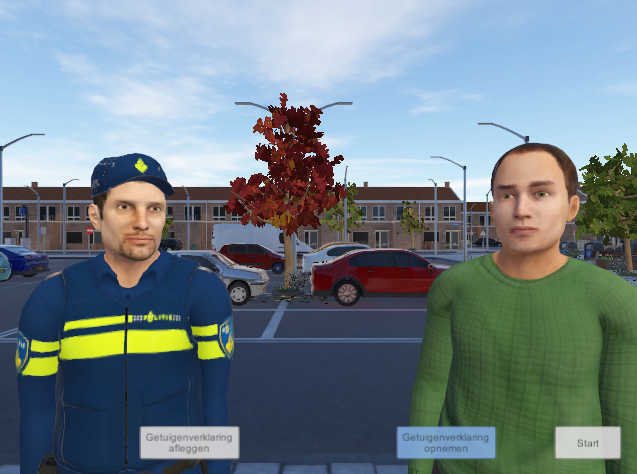 In project Avatar (funded by the Dutch National Police) we created a prototype of a game where students of the Dutch Police Academy can train their interviewing skills. In Avatar the user plays the role of a police officer who has to interview a witness of an attempted car break-in. Alternatively the user can play a witness and be interviewed by a police Avatar. In an interaction, the user can talk to the system using natural language and the system talks back using verbal and non-verbal behaviour. The work, done by the Human Media Interaction (HMI) group from the University of Twente and CleVR a Delft company, was demonstrated at the ‘Themadag Innovatie’ at the Dutch Police Academy in Apeldoorn. November was a month filled with amazing tech and interesting food. I went to Japan to present two papers from our Tasty Bits and Bytes project at the conference for Advances in Computer Entertainment Technology (ACE’16) and at a workshop on Multi-Sensoral Approaches to Human-Food Interaction (MHFI’16) at the International Conference on Multimodal Interaction (ICMI’16). From vending machines for smartphones to heated toilet seats that use enthusiastic sounds to welcome you back and from Edamame to Yakitori, Japan is a real must see for tech enthusiasts and food lovers. This appreciation for food and tech might have played a role in securing a best paper award at the ACE’16 conference. Congratulation to Gijs Huisman and Dirk Heylen, my fellow authors! Upcoming – My PhD Defence! Absolutely lovely and exciting, yet terrifying, news: Friday 7 October (from 16:30) I will defend my PhD thesis! The title of my thesis is ‘Believable Suspect Agents – Response and Interpersonal Style Selection for an Artificial Suspect’. 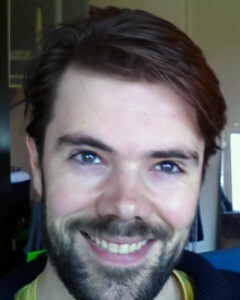 I’m looking forward to the defence with a mixture of excitement, nervousness, and relief. The defence is open to all who are interested. Location: building Waaier, University of Twente, the Netherlands. Author Dr. Merijn BruijnesPosted on September 29, 2016 September 29, 2016 Leave a comment on Upcoming – My PhD Defence! I gave a talk about the virtual suspect at the Deep Learning Summit Chatbots track in London this 23rd of September. Our paper titled “A Moving Feast: Effects of Color, Shape and Animation on Taste Associations and Taste Perceptions” has been accepted as a full paper at the Advances in Computer Entertainment 2016 (ACE2016) conference. In the paper you can read about the influence of visual stimuli on taste associations and taste experiences. We describe an experiment where participants tasted several samples of yogurt which were presented with projections around them, thus changing their appearance. I will give an invited talk at the Chatbots Track at the Deep Learning Summit London, on 22 September 2016. AI & deep learning are powering interactive messaging services known as chatbots & virtual assistants, which use conversational interfaces to create deeper, more personalised one-to-one customer experiences. The Chatbot Track will explore the technical advancements in deep learning, NLP & predictive intelligence to create conversational self-learning bots for messaging platforms, healthcare, personalised services & more. A virtual character that behaves as a human can be used to train people in social interactions. For example a virtual agent that plays the role of a suspect in practice police interviews can be used by students of the police academy to hone their interrogation skills. Creating a virtual character that behaves as a human is a challenge we approach by looking at how humans behave in this situation. We find psychological concepts and theories that explains the behaviour of humans and use these to create a behaviour selection model for the virtual character. The result is a virtual character, a virtual suspect, that behaves in a believable and (anti)social manner. ICT.OPEN is a conference for Dutch ICT researchers. Three projects that I am involved in were present at ICT.OPEN2016. I was pleasantly surprised to meet many people who shared my enthusiasm for socially intelligent computing. The VASST workshop at the INTETAIN 2016 conference aims to give an overview of recent developments of interactive virtual agent applications that are intended for training the social skills of the user. Here a virtual agent takes the role of a training actor in a role playing exercise enabling the user to practice his or her social skills. This technology requires thorough knowledge from multiple research domains, e.g., (serious) game mechanics, human factors, (social) signal processing, user-specific feedback mechanisms, and artificial intelligence. When successfully combined, these novel interaction paradigms can impact the serious gaming industry. We welcome small, innovative, unpublished research describing the state-of-the-art for all factors relevant to interaction with VASST, such as literature studies, user studies, design concepts and position papers. It turns out I do a lot of things. Starting in time with a blog is not one of them, but hey, better late than never. So here we go, a website about the stuff that I, Merijn Bruijnes, do as an aspiring scientist and find interesting as a general enthusiast. Nice to meet you.